Known from Catullus' beautiful Song 45, the names Acme and Septimus have become synonymous with ideal love. 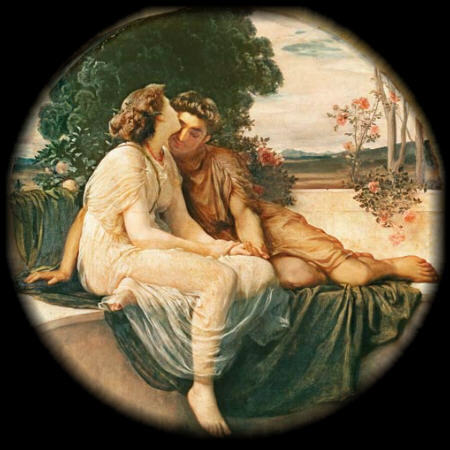 They declare their devotion to each other, and Cupid (Eros) sneezes; his sneezes were considered a good omen and blessing of approval for the love of Acme and Septimus. their mutual spirits love and are loved. her one darling and desire. who a love more fortunate?